Servers, Workstations, Hardware, Networks, Operating Systems, Software AND ERP Software support. Acclaim has been delivering complete IT support and services to businesses throughout New Zealand since 1993. Acclaim began as a network services provider specializing in Microsoft Server and Novell networking solutions.  Since then, Acclaim has grown to include ERP Accounting support and software development but we have always retained our focus on being able to provide our customers with a complete IT support infrastructure. Acclaims managed service offerings are designed to provide businesses with outsourced IT support that suits their requirements. Acclaim can take responsibility for your company’s end user IT support, servers and devices, and guarantee the smooth running of your IT. Acclaim can work both onsite and remotely – offering helpdesk support and remote management of software and services. We can pro-actively monitor servers, letting you know if there are any issues, while also ensuring your servers are kept up-to-date with the latest patches, all without interruption to your business. In addition to specialized and high-end support and consultancy Acclaim sells branded computer equipment including: servers, notebooks, computers, routers and wireless access points as well as computer software. We support small to medium size businesses throughout New Zealand and can tailor our support to suit your individual requirements. Configuration of MYOB Exo accounting solutions. Development of custom databases and applications linked to accounting systems.